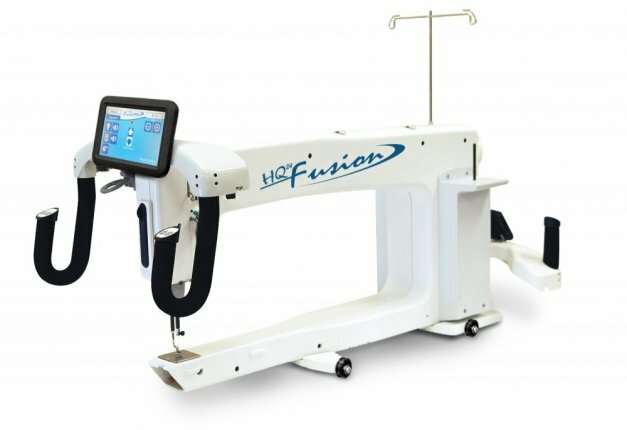 Made of High-quality steel, the 12-foot HQ Fusion Frame is a robust, professional-grade table and frame system for your HQ24 Fusion. Made of High-quality steel, the HQ Studio Frame is a robust, professional-grade table and frame system for your home studio. 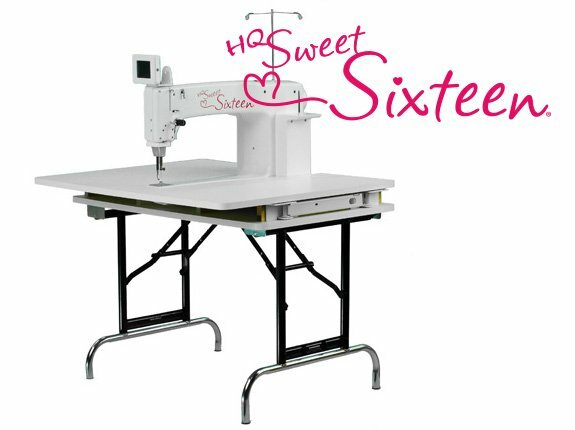 This table is designed for the HQ Sweet Sixteen machine. It may also be used with the HQ Sixteen when converting a stand-up model to a sit-down. 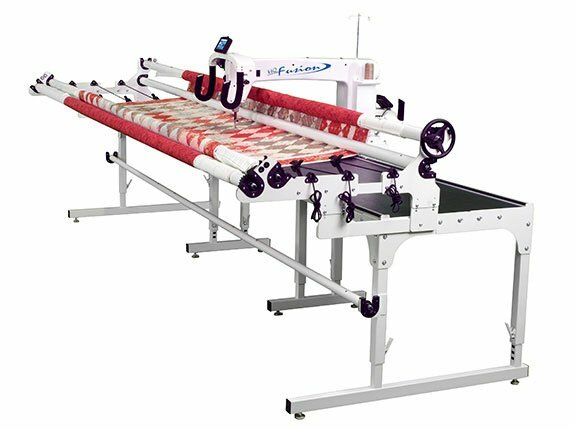 The machine is inserted into a bi-level table for a smooth, even quilting surface. Size: 36" wide by 30" deep. 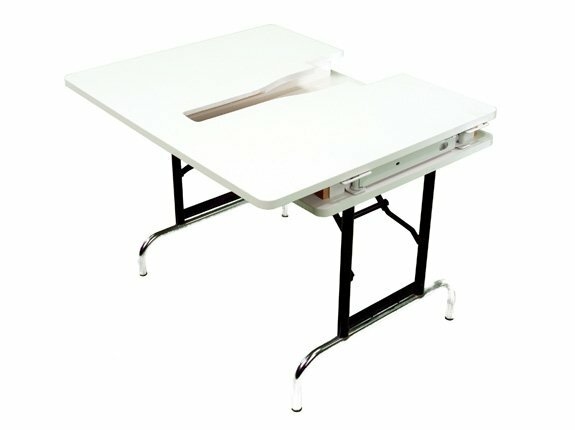 Table adjusts in height from 27" to 40". 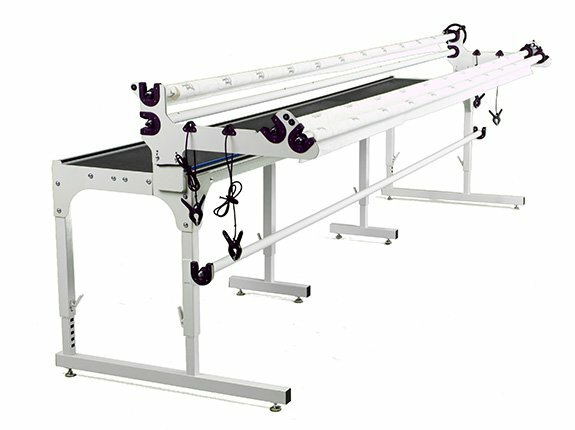 You can purchase additional 18" table extensions that can attach to both sides of the machine, and a table overlay for smooth rulerwork.